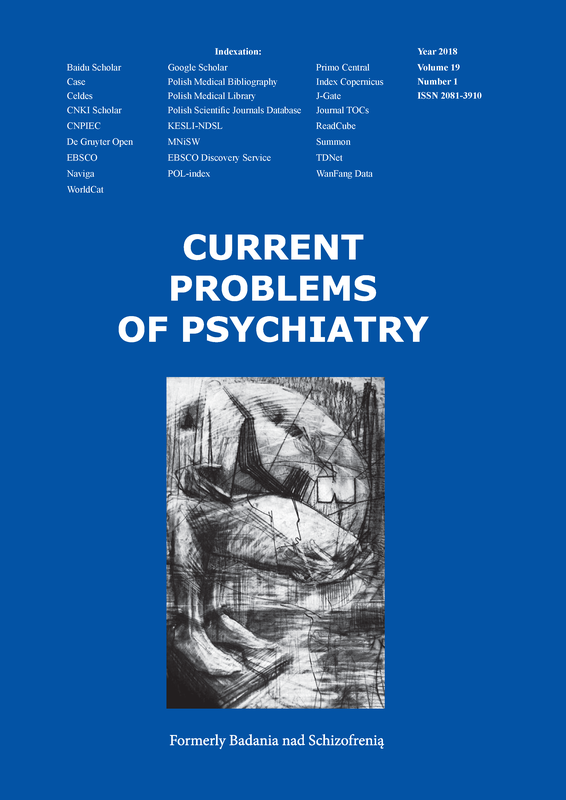 The quarterly „Current Problems of Psychiatry” is a continuation of yearbook "Research on Schizophrenia" and is intended for a wide group of psychiatrists and clinical psychologists. The quarterly is a reviewed scientific journal of international scope, publishing original papers, review papers, case studies, conference reports, letters to the editor and book reviews. The aim of the "Current Problems of Psychiatry" is providing a wide audience with scientific works, representing a significant contribution to the development of psychiatry and clinical psychology. The Editors of Current Problems of Psychiatry use the internet platform to register new articles. Professional translations of scientific articles into English and receiving linguistic advice from native speakers about the articles published in CPP, covered by the fundings dedicated for activities popularizing science and the use of De Gruyter Open for the popularizing articles in Current Problems of Psychiatry - received through 547/P-DUN/2016 from Poland's Ministry of Science and Higher Education.